Every married couple always wants a dream home where they can spend the rest of their lives living together. There is no greater joy than living in an abode that is valued by both of you in equal measure. However, the most difficult part of this process is to find common ground on this important decision of your life that is agreeable to both parties. In this scenario, it is very much possible that there will be disagreements and even maybe even fights when you start home hunting. Nobody wants a house to be a major factor in straining your marriage to the breaking point. Hence, you definitely need to keep your sanity and even your marriage while looking for the perfect home with your spouse. This article helps you sail over smoothly through these troubled times. We do this by providing you with a compromise that helps you resolve your stalemate with your spouse at the earliest. In this way, you prevent cracks and fissures from developing in your relationship. At the same time, we equip you with techniques that will help you get the best home that meets your requirements to optimal levels. The best property developers of Kolkata will definitely help both of you get what you want. Read on to find out how you will be able to choose the perfect home with your spouse in the easiest and smoothest way. This is the best way of resolving conflicts. Here each spouse prepares a list of 10 things that they want to see in their future homes. These lists are prepared separately with neither part knowing what the other is writing. Once the list has been compiled, they are compared with each other and 5 common things are selected from both of them. In this way, we provide you with a quick solution to an exasperating problem. In case you see that 5 common things cannot be taken out from the list, then the husband and the wife need to make a list with 20 things that they would like to see in their house. Then from this list, 5 common things will be taken that is acceptable by both parties. In this way, an adequate compromise situation will be reached that can solve the problem in an unbelievably amicable way. When we are buying a home, we tend to get emotional and get easily swayed by our feelings. This generally upsets our budget as we tend to desire for more than what we can afford to invest in our home. Also, research points out that the budget for the house is the part where husbands and wives tend to have the greatest disagreement. Hence, this is one section where you need to pay substantial attention to. The problem with being emotional is that emotions remove logic and practicality from the paying capacity that you have. Everybody would love to live in a villa but are the hefty expenses really worth the financial strain that follows? Hence, you must learn to segregate your emotions from the buying decision. Not doing so will only lead to regret and resentment. In fact, it is possible that a 2 BHK flat in BT Road Kolkata will provide you something that a villa cannot. 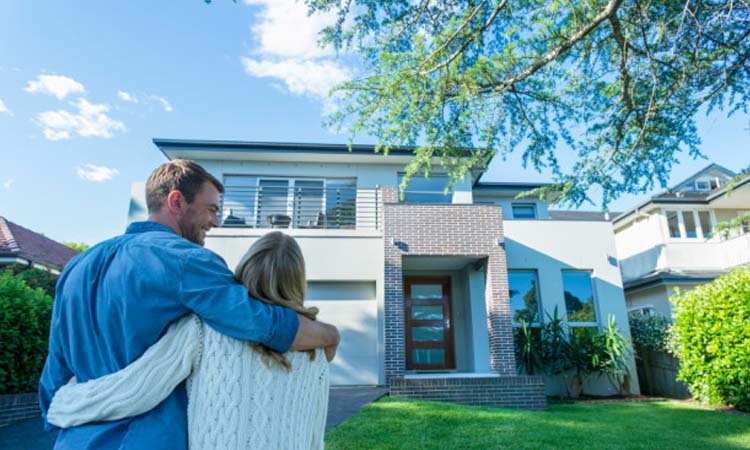 It may even be possible that you are able to buy the house but aren’t able to hold on onto it owing to its high maintenance and other charges. So eventually you either rent out the house or sell it off altogether. So there is no point in squandering your hard-earned money at the cost of frivolous emotions that can substantially change with the passage of time. Hence, it is mandatory that you segregate your emotions from your budget plan for retaining practicality on your home hunting. If you feel that there is too much of disagreement between you and your spouse that has advanced to the point of causing marital strife, then you should postpone house hunting for at least a period of a fortnight. This will enable you to give some breathing time to each other and will help things cool down. Your marriage is much more important than buying a house. There will always be houses that you can buy but you will never have a loving spouse who will love you for the rest of your life. There is also no point in losing out on a loved one just because of a house, no matter how big. Hence, just postpone the purchasing decision and save your marriage from hitting the rocks. In this way, you will calm down and see things in a different light the next time you sit together. This is how giving some breathing time to each other is very important and provides you with an opportunity to mend things before they spiral out of control. There are times when you may feel that you really need a mediator to calm things down. There is no better person than your real estate agent to be your mediator. This is because they have all the knowledge and expertise of the market that can help you get a win-win situation that is suitable to the needs of both of you. In fact, many real estate agents also fulfill the role of counselors who bring about peace between the spouses. In this way, they bring them together and simultaneously provide them with the best deal. Another thing to keep in mind is that couples tend to get emotional when they are fighting over buying a house. However, real estate agents are very practical and don’t get swayed by unreasonable emotions quickly. This prevents the blunders in decision-making that are caused by getting emotional. Hence, you need to be objective and present the couple with this objectivity. Real estate agents do exactly that and this is how they remove a heavy dose of subjectivity that is natural with every decision that we make in life. They provide you with options for housing projects in Kolkata. However, it is important to know that sometimes we need to work as a team and only being objective and practical can help us build our partnership and strengthen the bonds between us. From the above, it is clear that you need to value your partnership and these tips and guidelines will help you immensely in choosing the perfect home for your spouse.